Our buying guide for the Best EDC keychains will show you how to organize your keys in style. Think about how many times a day you reach into your pockets to grab your keys. You need them for work, home, vehicles, and many other responsibilities. The simple action of easily finding the right key or tool needs to be efficient as possible or you can waste a lot of time throughout the day. That’s why we decided to share some of our favorite key organizers for your keys and EDC tools. First up is the Mini Q. 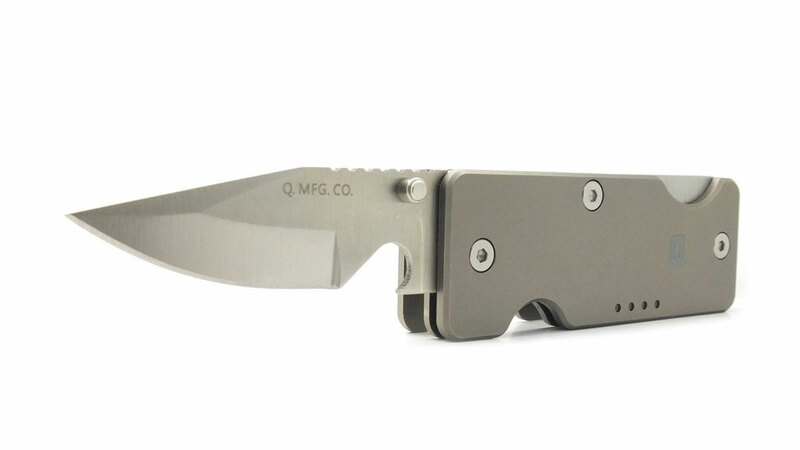 If you’re looking for an ultra-minimalistic key organizer, then you need to take a look at the Mini Q EDC Key Organizer & Knife ($68). 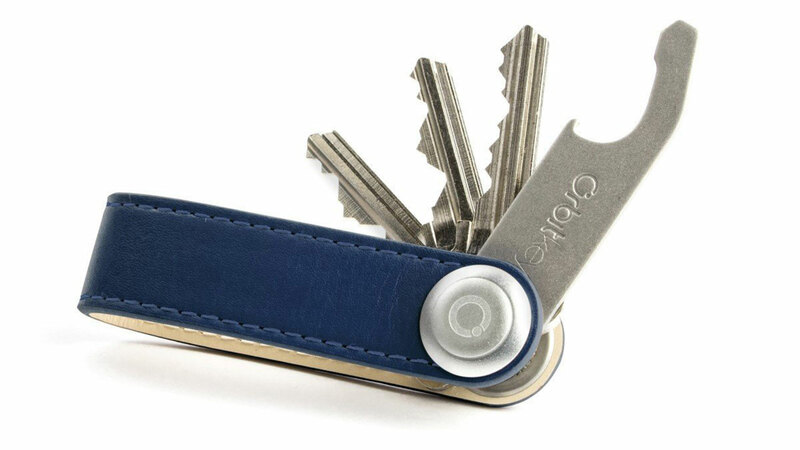 This keychain combines durable key storage with the functionality of a pocket knife. The knife is available in five blade options which contain tools like bottle openers and screwdrivers. The Mini Q is made from Grade 5 titanium, making it strong and lightweight and it comes in a wide variety of finishes to fit any style. You’ll never need another key organizer. The Orbitkey EDC Key Organizer ($40) is beautifully simplistic and is one of our favorite organizers on the list. It’s a versatile leather key organizer made from premium cowhide leather and is offered in several colors. It’s the perfect essential for the man who needs an accessory he can use in almost any situation. It can hold up to 7 keys and EDC accessories and wraps everything in a protective barrier to prevent them from scratching your values. Optional accessories include a key ring for your car FOB, bottle opener, and an 8Gb USB drive. 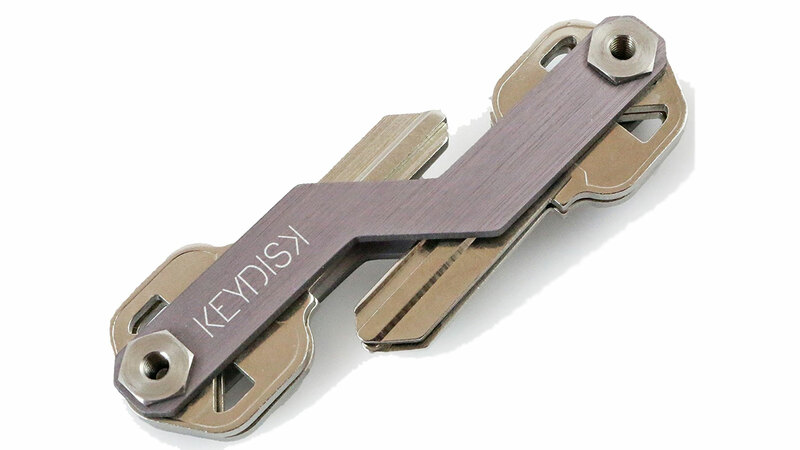 The Keydisk Mini Everyday Carry Key Organizer ($18) is an inexpensive option for those looking for a streamlined approach to carrying their keys. It features a swivel at both ends of the organizer that keeps your keys organized, making them easily accessible so you never have to fumble in your pockets. The slim design allows you to store up to 10 standard keys out of the box. While the available extenders allow you to expand Keydisk to hold as many keys as you want. You also get a key fob holder for your bulky keys that includes a handy bottle opener. 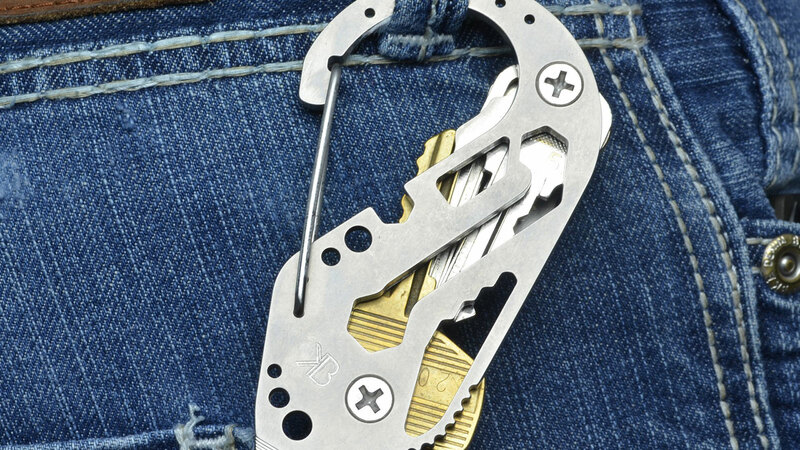 A lot of people use Carabiners to hold their keys and everyday carry essentials, the KeyBiner Carabiner EDC Key Organizer ($35) takes that functionality to the next level. It features a key retention system that can hold up to 14 keys and allows you to keep them perfectly organized. It also includes a multitude of everyday carry tools to help you throughout the day. These include a bottle opener, six different wrenches, a screwdriver, pry bar, and a file. You can also get an optional 32GB thumb drive. The KeyBiner is perfect for anyone looking for a rugged Key Organizer to handle the toughest conditions. 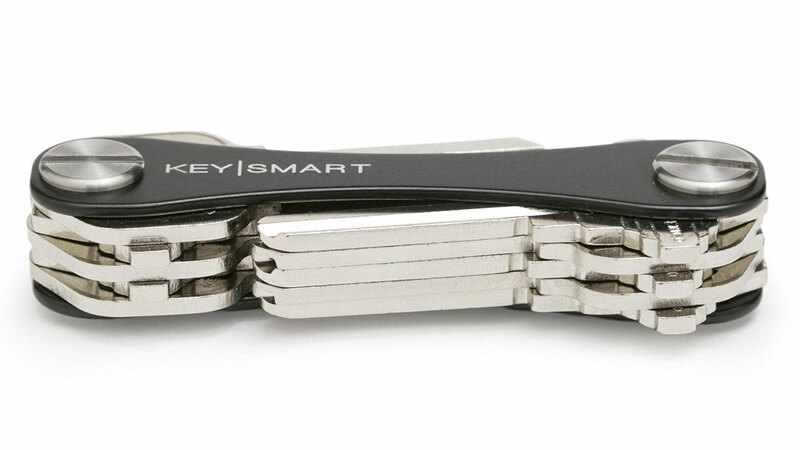 The KeySmart Compact EDC Key Organizer ($20) is another swivel type key holder similar to the Keydisk we reviewed above. It’s a metal U.S.A. made key organizer that can hold up to 10 keys. If you have more keys, you can get optional expansion kits to expand the number of keys it can hold to 100. Additional optional accessories are also available. These include a bottle opener, the aforementioned expansion kit, and a quick release belt clip. With the KeySmart Key Organizer, no key will ever be out of place.